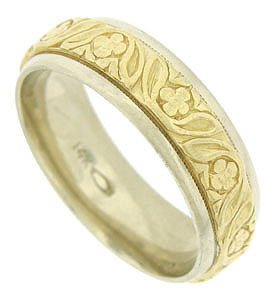 Exquisite floral engraving covers the surface of this 14K bi-color wedding band. The edges of the ring are smoothly polished. 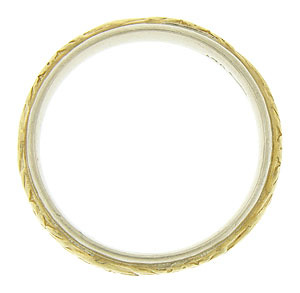 This mens' estate wedding ring measures 6.49 mm in width. Circa: 1960. Size 8 1/2. We cannot re-size.